There’s no doubt that home automation has exploded in popularity in recent years. 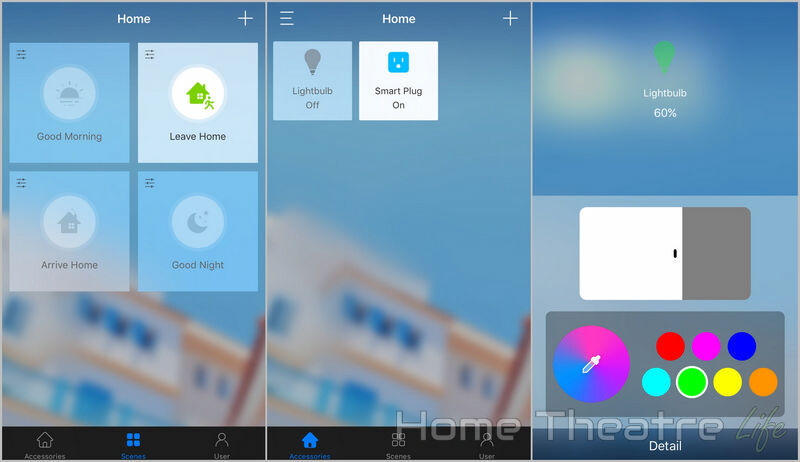 Whether you’re looking for a virtual assistant or smart lighting, there’s plenty of options for those wanting a smart home without spending a fortune. Apple’s own HomeKit technology is relatively new and can be quite pricey. However, the Koogeek Smart Bulb is a Apple HomeKit-compatible smart bulb that surprisingly doesn’t break the budget. Is it worth it? Keep reading my Koogeek Smart Bulb review to find out. What is the Koogeek Smart Bulb? The Koogeek Smart Bulb is an smart light bulb that can output an impressive range of colors and integrates with Apple HomeKit. This means you can control the Koogeek smart bulb via the Koogeek app, Apple’s own Homekit app or via your voice using Siri. You don’t even need to be at home! Everything’s housed inside the bulb itself – so you don’t need any bulky bridges or hubs. As long as you’ve got a 2.4GHz wireless network running, you’re good to go. 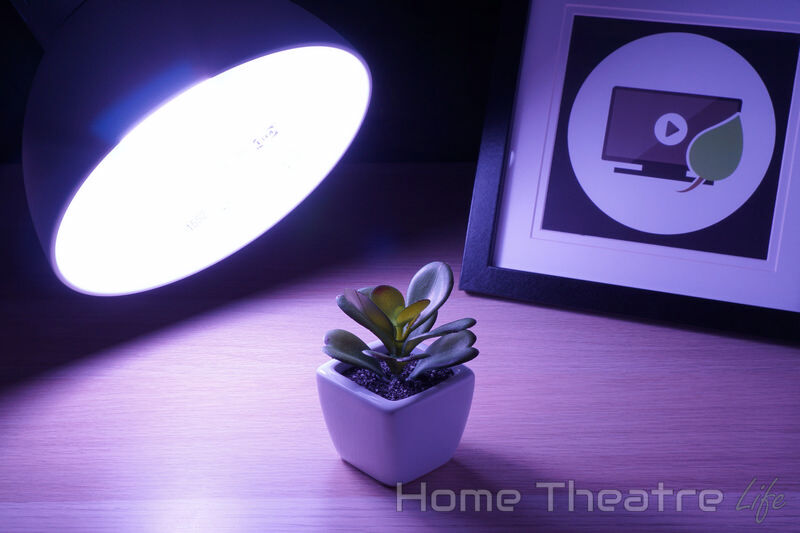 In terms of light output, it can produce an impressive 16 million colors at 500 lumens of brightness. That’s not as bright as a LIFX bulb but it’s also a fraction of the price. It will also integrate with various other HomeKit-compatible smart devices such as the recently reviewed Koogeek Smart Plug. If you’re an Apple user wanting to drink that sweet home automation nectar, the Koogeek smart bulb is an affordable Homekit-compatible option. The Koogeek Smart Bulb is available from Amazon. 1 What is the Koogeek Smart Bulb? 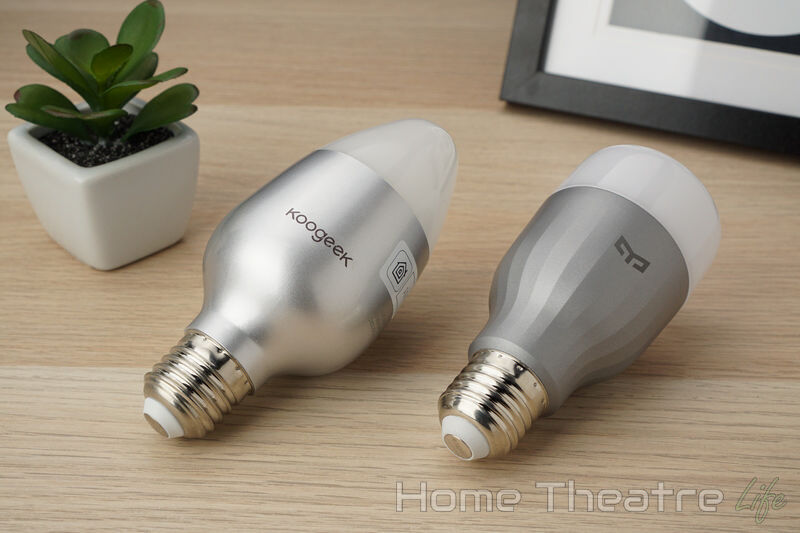 6 Should You Buy the Koogeek Smart Bulb? The Koogeek Smart Bulb is one of a few self-contained smart bulbs, with all of its circuitry inside. There’s no extra hubs or bridges required to get it running like the Philips Hue which makes for a much cleaner setup. 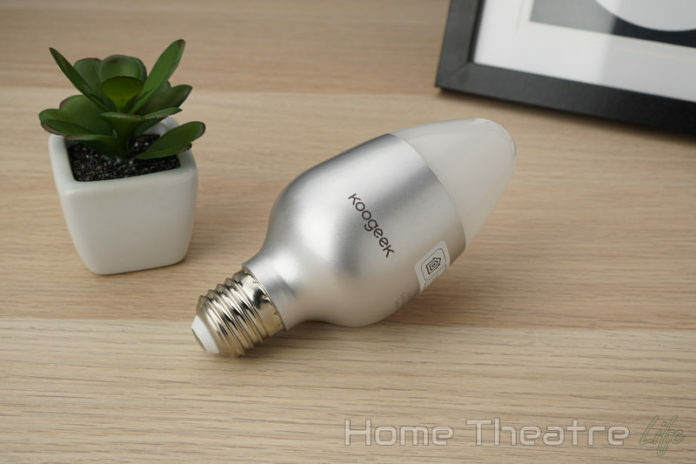 Of course, this means that Koogeek’s smart bulb is slightly larger than a standard light bulb. Whilst I didn’t have any issues with the bulbs fitting into my lights, light fittings that don’t offer much clearance could have issues. It’s also quite heavy at 245g, so those cheap flexible lamps may struggle to hold up the bulb. The bulb is available in E26 and E27 screw variants so you should be able to one that’s compatible with your light fittings or lamps. Using the Koogeek bulb is dead simple. Screw in the Koogeek smart bulb into your lamps socket and fire up the Koogeek app. One you’ve signed up for a Koogeek account, just follow the setup wizard to add the bulb to your Homekit devices. This is all done by scanning a code on the bulb or its packaging. The app will handle connecting it to your wifi for a simple set up. The bulb itself is reasonably bright at 500 lumens. I found that this was bright enough for lamps and accent lighting, though I didn’t feel it was bright enough for a “main” light unless you had multiples. 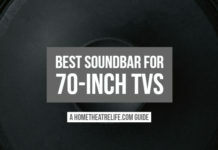 That said, being able to adjust the color temperatures or change the mood using one of the 16 million colors available made a massive difference to the room’s ambience. 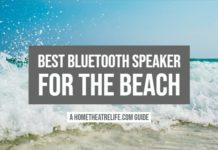 These adjustments are made using the Koogeek app, Apple’s own Homekit app or Siri. The app itself is decent, letting you choose colors or various shades of white, adjust brightness, set up schedules and more. 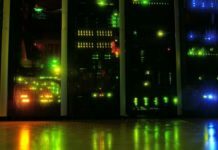 Of course, most users will be taking advantage of Siri comparability to let Apple’s virtual assistant control the lights with just your voice. 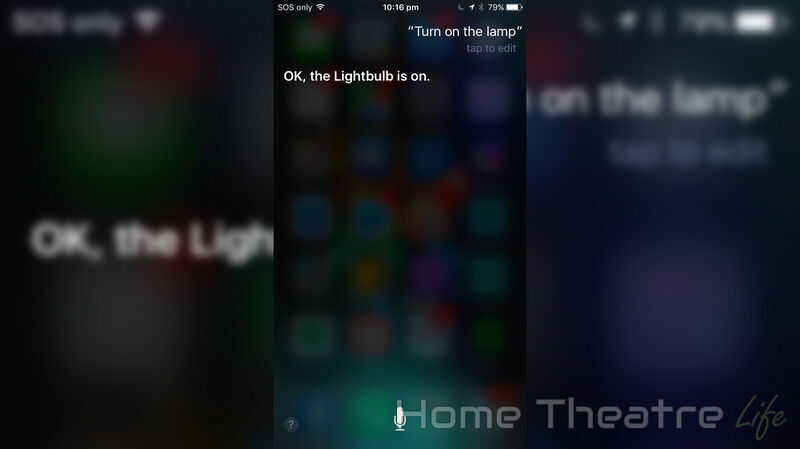 There’s something great about just asking Siri to turn on the lamp and have it come on like magic. There’s also a bit of leeway in terms of wording, as I could things like lamp or light and Siri knew which device to turn on. Unfortunately, Siri is the only voice assistant you’ll be using, as Google Home or Amazon Alexa aren’t supported. This really feels like a missed opportunity and locks you into Apple’s ecosystem as Android users can’t take advantage of the smart bulb. Speaking of control, you can control the Koogeek Smart Bulb from anywhere you’ve got an internet connection. It’s great being able to turn on the lights before you come home or even set up lighting schedules for when you’re away. I did have some occasional responsiveness issues with the Koogeek app, with the bulb not responding to the native app, despite Siri and the Homekit app continuing to work perfectly. 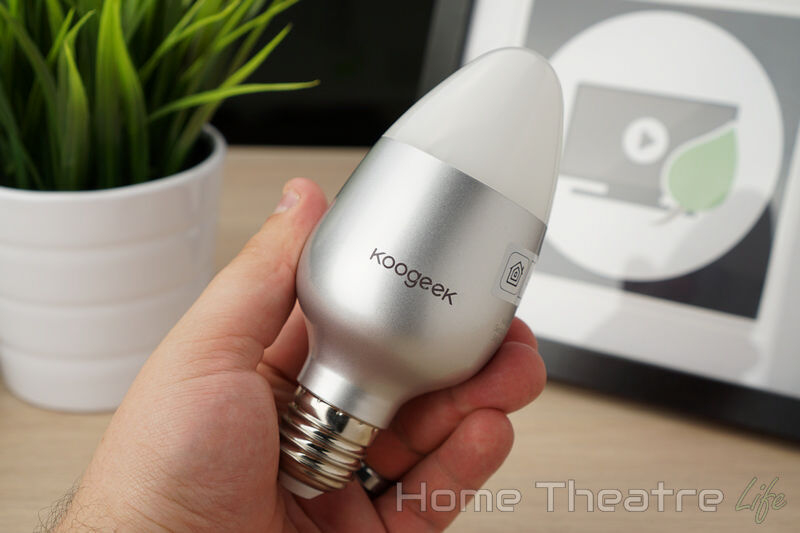 Should You Buy the Koogeek Smart Bulb? The Koogeek Smart bulb is an excellent, affordable way to enter Apple’s home automation ecosystem. Whilst it lacks the integration with third parties like smart bulbs from LIFX or Philips, it’s also a fraction of the price – offering immense bang for your buck. If you’re an Apple user wanting to start using home automation, the Koogeek Smart Bulb is a must-buy. 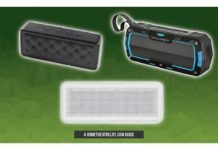 *Koogeek provided a sample to review. However, this did not influence our review in any way. The Koogeek Smart Bulb is a fantastic way to get into Apple's world of home automation. 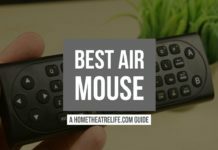 Whilst it doesn't offer third-party integration like other brands, it's a no-brainer for those with a house full of Apple users.